Shoreline Endodontics | Could Cheese Help Prevent Caries? Consuming cheese and other dairy products may help protect teeth against caries, according to a study published in the May/June 2013 issue of General Dentistry (Vol. 61:3, pp. 56-59). The study sampled 68 subjects ranging in age from 12 to 15, and the authors looked at the dental plaque pH in the subjects’ mouths before and after they consumed cheese, milk, or sugar-free yogurt. A pH level lower than 5.5 puts a person at risk for tooth erosion, the researchers noted. The subjects were assigned into groups randomly. The researchers instructed the first group to eat cheddar cheese, the second group to drink milk, and the third group to eat sugar-free yogurt. Each group consumed their product for three minutes and then swished with water. Researchers measured the pH level of each subject’s mouth at 10, 20, and 30 minutes after consumption. The groups who consumed milk and sugar-free yogurt experienced no changes in the pH levels in their mouths. 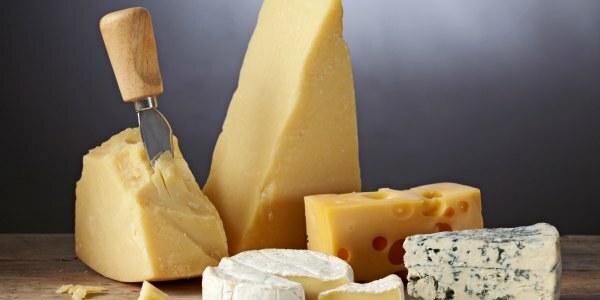 Subjects who ate cheese, however, showed a rapid increase in pH levels at each time interval, suggesting that cheese has anticaries properties. The study indicated that the rising pH levels from eating cheese may have occurred due to increased saliva production, which could be caused by the action of chewing. Additionally, various compounds found in cheese may adhere to tooth enamel and help further protect teeth from acid, the researchers concluded.